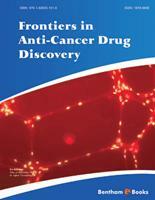 This first Volume of “Frontiers in Anti-Cancer Drug Discovery” published under the Editorship of Prof. Atta-ur-Rahman and Prof. Dr. M. Iqbal Choudhary contains very useful reviews on the latest aspects of anti-cancer drug discovery and development. These articles have been contributed by an impressive group of authors, the majority of whom are well known for their own contributions. Most interestingly, these thirty reviews reflect the rapid changes in approaches towards drug discovery and development, based on the growing understanding of etiology of various cancers at the molecular level. Many of these review articles focus on inhibition of enzymes which play key roles in the on-set of cancer and its progression. Novel classes of compounds and emerging approaches, such as antiangiogenesis, are also the topic of some reviews. Each chapter is well written, up-to-date, adequately illustrated, extensively referenced, and nicely edited. Overall cancer is a complex disease, and this volume reflects the complexity involved in its treatment, as well as the need for a further understanding at the molecular and cellular levels, and designing treatments that target key mechanistic steps. The authors and editors deserve appreciation for compiling such a scholarly treatise, which should be of benefit both to academic researchers and industrial R & D personnel. Cancer has been a major challenge for health researchers, health care providers, and managers. The increasing incidence of cancer, both in the developed and the developing world, is attributed to longer life spans, life style changes, and environmental factors. Many of the blockbuster anti-cancer drugs of the past are slowly becoming ineffective or undesirable due to acquired resistance of cancer cells, and associated chronic toxicity. This situation demands vigorous efforts in the field of drug development for treatment and prevention. Although mortality due to cancer remains very high, spectacular advances have been made in the discovery of new anti-cancer drugs in recent years. This has been largely due to an enhanced understanding of this group of diseases at a molecular level in the post-genomic period. Not only have new approaches towards the cancer treatment been debated and agreed upon, but new targets and novel classes of anti-cancer compounds have also been discovered. d. Reviews of recent patents on various aspects of cancer treatment. This volume reflects the complexities involved in tackling this disease and current efforts to control it. It is hoped that this volume and subsequent volumes of this series of books will benefit the scientific community, both in academia and in industry, by fulfilling their needs of comprehensive reviews on recent developments covering different important aspects of cancer drug discovery and development. We wish to extend our warmest thanks to the staff members of Bentham Science Publishers, including Mr. Mahmood Alam (Managing Director), Ms. Samina Khan (Senior Manager), Ms. Taqdees Malik (Assistant Manager) and Ms. Sadaf Idrees Khan (Composer). They all have made key contributions to the publication of this volume. National Cancer Institute "Fondazione G. Pascale"
Medical University, 2 Dunav St.